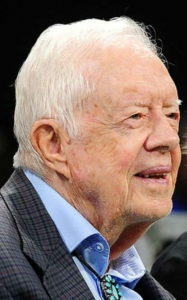 On Thursday, March 21, 2019, former president Jimmy Carter will go down in history as the longest-living former president. Coolidge was President in 1924: Carter was born on October 1, 1924 in Plains, Georgia. He still lives in Plains today (population: 727) where he is enjoying what is now the longest post-presidential retirement of any president. When he was born (the first to be born in a hospital), president Calvin Coolidge was just a month away from winning election in his own right to the presidency. It was a decisive victory over Democrat John W. Davis, whose entry into the race was hobbled by the fact that the Democrats didn’t settle on him as their nominee until the 103rd ballot at the convention. Coolidge had inherited the office upon the untimely death of his predecessor, Warren G. Harding. 16 Presidencies: Carter has now lived through 16 presidencies (including his own) – a considerable slice of American history covering more than a third of the men who have served as president. Beating Bush’s Record: When George H.W. Bush passed away on November 30, 2018, he held the record as the oldest former president, having taken the mantle from the previous record holder Gerald Ford, who passed away on December 26, 2006 at 93 years, 165 days. When Bush passed away, he was 94 years, 171 days old. 90 Year-Old Presidents: Of the half-dozen presidents who have reached 90 years, all of them have occurred in the modern era, beginning with Herbert Hoover, except for John Adams, whose record of longevity held for more than 175 years until Ronald Reagan passed him on October 12, 2001. Reagan died on June 5, 2004 at 93 years, 120 days. Interestingly, of the six presidents who became nonagenarians, five of them were one-term presidents (or less in the case of Ford). Only Reagan served two terms and lived past 90 years. 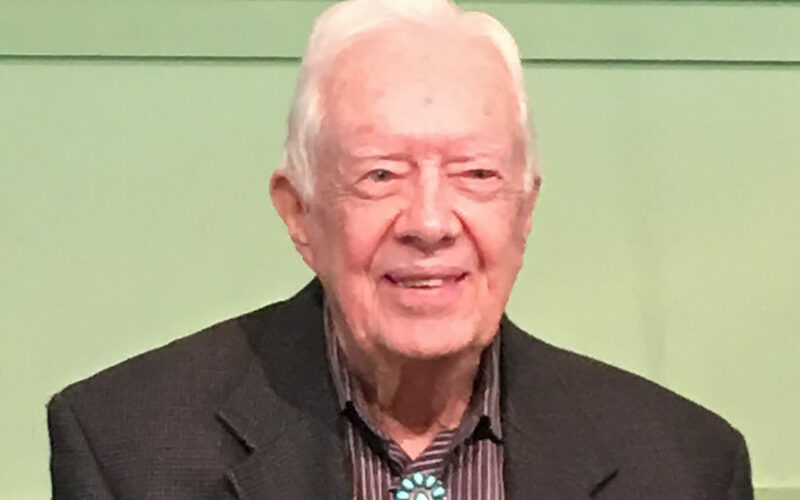 A Remarkable Man: On March 21, 2019, Jimmy Carter will surpass George H.W. Bush’s record. By all accounts, Carter is in remarkable mental and physical condition. He still teaches a 45 minute Sunday school class most Sundays he is in town. He recently offered to go to North Korea to broker a deal to resolve the nuclear stalemate and reduce tensions. His most recent of close to 30 books he has written, Faith: A Journey for All, was published a year ago. It appears he will be around for more years, and will consolidate his longevity record into one that will be difficult to beat for a long time. An Exciting Personal Announcement! You may have wondered why it’s been more than three months since I’ve written a blog post here. During that time, I’ve been finalizing a book that will be published sometime in April or May. 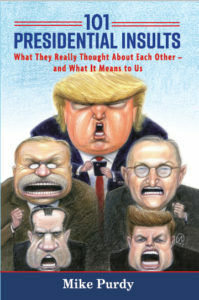 The book is entitled 101 Presidential Insults: What They Really Thought About Each Other – and What It Means to Us. It will be available for pre-order prior sometime in April and may be purchased from Amazon, Barnes and Noble, or wherever books are sold. I will be sending out more information about it once it’s actually available online for pre-order and when I know the actual publication date. When it does come out, I’d be grateful if you would buy it through Amazon and post a review of it there right away. Early reviews on Amazon helps ensure that Amazon promotes and prominently features the book. Many thanks!